In Paul McCartney’s house in Liverpool, the wallpaper in the living room doesn’t go all the way round. The room is half-decorated in an exotic Japanesey bamboo print which gives way to a couple of different, cheaper papers. If done up as intended, the effect might have been fairly chi chi for a small council house in the 1950s. Or a bit over the top. Accurately restored by the National Trust from period photographs, 20 Forthlin Road where Paul grew up sends us a more subtle message today. The McCartneys had pretensions to aspiration. But, after their mum Mary died when Paul was just fourteen, the family had to rely on dad’s meagre income. Former bandleader Jim earned only £6 a week. So perhaps the McCartneys had neither the cash nor the heart to pursue their interior design ambitions. Upstairs in Paul’s room, there’s a single bed, with a candlewick spread like your granny might have had. Most noticeably though, above the bed, there’s a ventilation grille bringing fresh chilled air from the outside world. You can’t help thinking that young Paul must have felt a bit cold in winter. Nearby, where John Lennon was growing up with his Aunt Mimi and Uncle George, their house even has a name: Mendips. In contrast to the McCartney’s council house, it’s a surprisingly nice, petit bourgeois, suburban home for a ‘working class hero’. A golf course separates the two houses, indicating the social gulf between the boys’ homes. While Paul’s dad was at work, teenage John would cross the golf course so they could smoke, rehearse and write songs in the empty McCartney house unsupervised – without the watchful eye of Aunt Mimi. Both Lennon and McCartney lost their mothers at an early age. This shared experience would bind them as friends, but the effect on their outlook seems markedly different. What the McCartneys lacked in living standards, they compensated for in love. While Lennon enjoyed home comforts at Aunt Mimi’s, the chill of her well-meaning propriety never made up for his initial abandonment by his mother Julia or, after she had come back into his life, the shock when she was killed in a road accident. And so the yin/yang of Lennon/McCartney balanced out their individual weaknesses in a formidable creative partnership: John’s acidic aggression and confessional streak counterpoised with Paul’s artifice and sweet willingness-to-please. We’re all familiar with the story of Beatlemania, the glory years and the eventual unravelling of the 60s dream. Yet even in their formative years, you can imagine the roots of the band’s demise – lazy “I’m Only Sleeping” John grating on workaholic ‘We Can Work It Out’ Paul. Tragically, we all know what happened to John Lennon. In just a few song titles too – Give Peace a Chance; Merry Xmas, War is Over; Imagine; Mother; Jealous Guy – we think we know what he thought and felt. But what became of McCartney? Between the moment the police broke up the last Beatles’ gig on the roof of Apple’s offices and right now – that guy you sometimes see gooning for the paparazzi or singing out of tune at the Olympics – what happened to Beatle Paul? Thankfully, the question has now been answered brilliantly by acclaimed Scottish music biographer, Tom Doyle. Documenting Paul McCartney in the 1970s, Doyle’s new book “Man On The Run” offers fresh insight into the break-up of the Fab Four, and the bitter emotional aftermath endured by McCartney and Lennon. It’s also a much-needed reminder of the stature of McCartney as a musical genius, as a dangerous libertarian and genuine working class hero. What emerges from Doyle’s meticulously researched book, based on in-depth interviews with McCartney, is a portrait of the artist as a very young, very vulnerable, albeit very famous man. Behind the super-cool façade of the be-suited Beatle, striding barefoot over the zebra crossing in Abbey Road, Doyle reveals the hurt and bewilderment of a man who is unsure of his future, uncertain of his talents and persistently surprised by his own actions. By their final recorded album ‘Abbey Road’, it seems clear that McCartney is leaving Lennon and the other Beatles behind – not in songwriting or even in taste, but in musical technique. Where Lennon pays homage to a basic old Chuck Berry number on ‘Come Together’, McCartney gives us orchestras and music hall pastiche. Listening to the album afresh, what seemed like a magical melée of styles, now sounds like chalk and cheese rubbing together. You can imagine Lennon, the band’s trendsetting founder, resenting the bassist who now wants to be a ‘bandleader’, just like his dad. Behind Paul’s doe-eyed smile, there’s real determination. But there’s more to the rift than musical riffs. After the death of Brian Epstein, John, George and Ringo wanted New York music mogul Allen Klein to sort out the financial shambles at Apple. Paul argued that the group should be advised by upscale U.S. attorney Lee Eastman, who just happened to be his wife’s father. McCartney accepted that Eastman could be seen as biased but, warned by Mick Jagger of Allen Klein’s shady character, he remained implacably opposed to the aggressive, cigar-chomping, New Yorker. What time reveals, of course, is that McCartney was right about Klein, and the other Beatles couldn’t have been more wrong. Klein was a bully, a cheat and a liar, working against their interests and even conniving to sue George Harrison in the ‘My Sweet Lord’ copyright wrangle. Legal issues were compounded by girl trouble too. John had embarked on a complex relationship with avant-garde artist Yoko Ono, while Paul had opted for straight down-the-line romance with the lovely Linda. It’s easy to imagine how McCartney might have considered JohnandYoko as weird, while Lennon simply saw Paul social-climbing into affluent New York society with the patrician Eastmans. 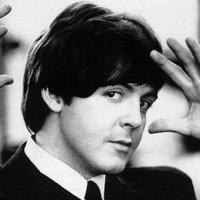 As the battle became more bitter, McCartney retreated to the wilds of Scotland, recording home-made albums, before eventually forming the record-beating but largely forgotten band Wings. By 1973, Paul was pulling in $25 million from the catchy, candy-floss pop on “Band on the Run’. Lennon complained he’d never make that kind of money with his solo work, and his brittle self-confidence seemed to crumble. John left Yoko for his ‘lost weekend’ with May Pang, lasting 18 wild, drunken months in LA. Surprisingly, Doyle’s book shows how Paul mediated between Yoko and her errant husband, passing on Yoko’s demands for Lennon to return to New York and woo her: it would be just like starting over.